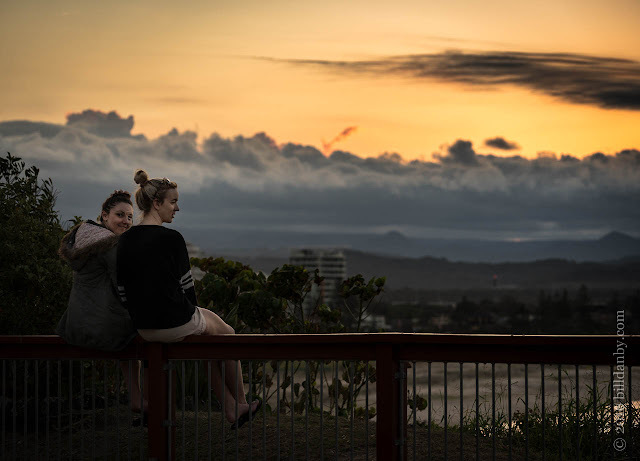 While on vacation at the beach we went up onto Kirra Hill as it affords a pleasant outlook over the beaches and the ocean. On that day, however, the view was uninspiring. But there were others at the top and they provided my subject matter for the evening.